Description:Follow the deadly python as she slithers in search of a meal in this riveting nature story that is not for the faint of heart. Python stirs and slithers out from her shelter, smelling the air with her forked tongue. It's time to molt her dull scales and reveal the glistening snake underneath. Gliding along a tree, she stops and watches very, very closely as a bird drops onto a branch — and escapes the razor-sharp teeth just in time. But Python is hungry, so she slides on to stalk new prey. Combining informative facts, expressive illustrations, and a lyrical, mesmerizing narrative, here is a book to captivate anyone fascinated by this iconic creature. 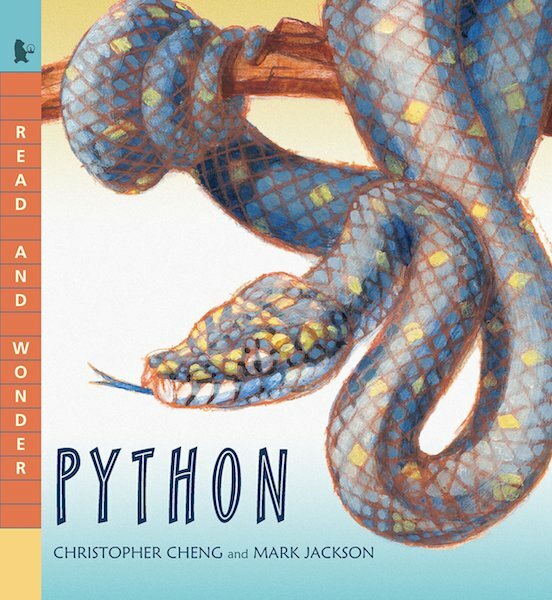 Back matter includes information about pythons and an index.